A nice set of stemware makes a great gift for wine lovers from experts to newbies. Buying wine glasses can be surprisingly intimidating if you start looking at the huge variety of sizes and shapes for different wines, but it really doesn’t have to be complicated. If you’re buying for someone, including yourself, who likes a nice glass of wine, but doesn’t need a dozen different glasses for each varietal, we can help you to simplify the selection process. Quality: You'll want to choose a glass that's nice enough that it looks and feels good to you, at a price that you’re willing to pay, not only to buy the glasses, but to replace one if it breaks. Care: Crystal stemware is lovely, but the extra care that it requires makes it impractical for many people. If you’re not into hand washing your stemware right after dinner, it’s probably better to go with glass instead of crystal. Shape: The basics include flutes for sparkling wines, small glasses for champagne, and wine glasses. There are many specific shapes designed for different wines, but we think it is fine to go with one all-purpose wine glass, or perhaps three glasses designed generally for reds, whites or sparklers. The stem allows you to hold your wine glass without warming the wine with the heat from your hands. The bowl is where you’ll find the most variation between glasses. Red wine glasses are wide, allowing a large area for the wine to breathe, while white wine glasses tend to be a bit narrower. 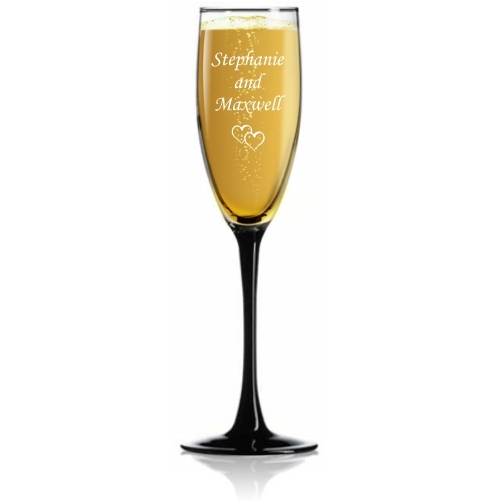 Champagne flutes are quite narrow to prevent the bubbles from escaping. 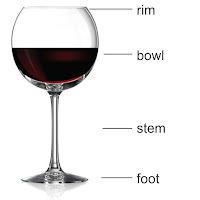 Red wine glasses have a larger bowl to help aerate the wine as you drink, and to allow to complex aromatics to flow up. 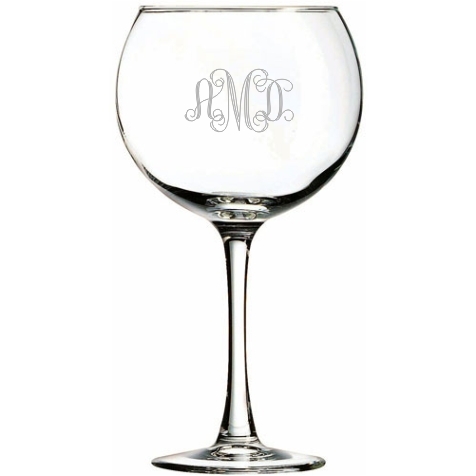 SHOP FOR OUR FAVORITE RED WINE GLASS HERE. White wine glasses are narrower and smaller to keep the wine cool and to focus the more limited aromatics from a cold glass toward your nose. 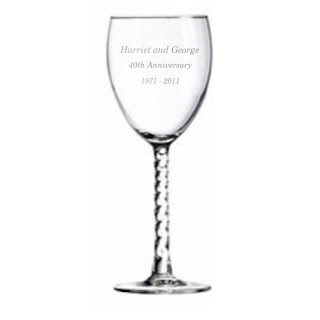 SHOP FOR OUR LARGE WHITE WINE GLASS HERE. The tall narrow shape of a flute preserves the bubbles in sparkling wines and pushes them up the glass, which makes a pretty presentation. 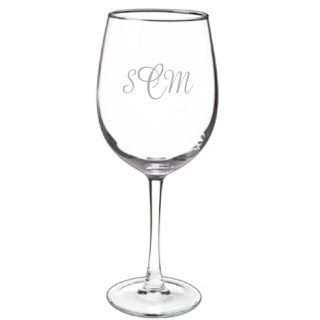 SHOP FOR MONOGRAMMED FLUTES HERE. These large, versatile wineglasses are intended for either red or white and are perfect for everyday use, as well as large parties or receptions. 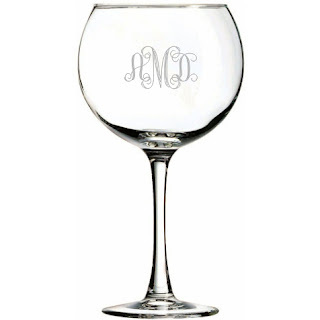 SHOP FOR ALL-PURPOSE WINE GLASSES HERE. Engravables Plus, our favorite thing to make a nice wine glass nicer is a bit of engraving to personalize it. 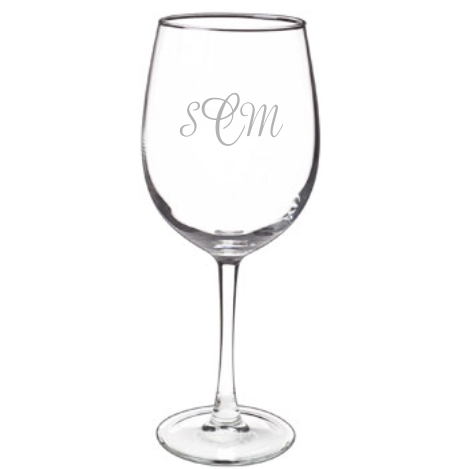 Anything from a simple monogram or logo, to a special name or date works well. Shop our entire selection of glassware HERE. Celebrate with a Glass of Bubby!